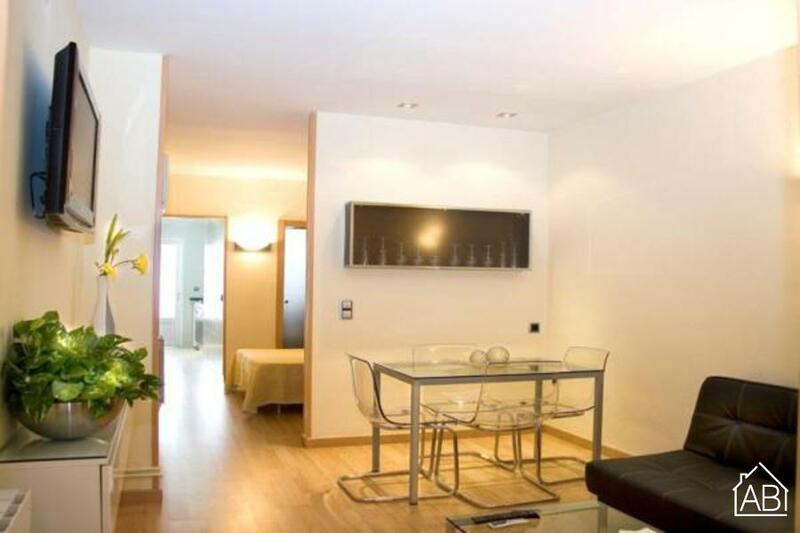 Situated in the Gràcia district of Barcelona, this studio apartment is the ideal base for your trip to the Catalan capital. With easy access to the city center, the beaches and all of the sights in and around Barcelona, the city will be at your fingertips! With parquet flooring and a warm décor, this is a cozy space to make you feel right at home. The living room has a comfortable sofa complete with a single sofa bed and a TV. There is an Internet connection available making is easy to stay in touch with those at home. Adjoined to the living area is a dining room. Take advantage of the well equipped kitchen where you can create your own Mediterranean style dishes in the comfort of your own home-away-from-home. A terrace can be found where you can dine alfresco in the warmer months. The bedroom is spacious and complete with a double bed. The apartment has one bathroom with a double sink and a Jacuzzi bath. This modern apartment is the ideal choice for your getaway to Barcelona.